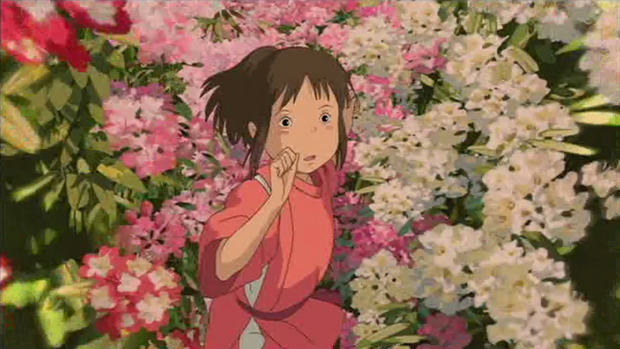 Hayao Miyazaki is probably the single most famous animation creator in all of Japan. Even many people who would never otherwise bother with anime have seen and adored his films like My Neighbor Totoro, Howl’s Moving Castle, and Kiki’s Delivery service, and anime fans tend to treasure his movies above all others. It helps that a number of his movies have been skillfully dubbed in English by Disney, but he’s more than talented enough for them to be glowingly received all on their own. Personally, I have not yet seen all of his movies simply due to wanting to wait until I am in the right mindset to fully appreciate them. Two in particular that I have seen, however, are Castle in the Sky and Spirited Away, and I want to talk about those today. Specifically, the lesser-known manga adaptions of them. See, there’s something I noticed when reading them that made me appreciate them more than I had before, though to be clear I already loved them both. Upon reading the manga adaptions though, which are almost entirely made up of nothing but still shots from the movies with added framing and word bubbles, it ironically became more obvious to me just how expressive the animation in Miyazaki’s movies was. I’ve always known this was a big draw of those films as they still look breathtakingly beautiful even in 2017 despite being released in 1986 and 2001 respectively, but seeing entire pages go by with little to no dialogue at all while still managing to convey a wide variety of emotions in its characters really is something else. Reading a Miyazaki manga is unlike reading most any other manga because it’s all about the fluidity of movement and the joyous momentum that creates in the reader’s mind, and I felt like this was worth sharing. For any fans of the movies out there reading this who haven’t taken a look at the manga adaptions, I recommend them, if only because they might just give you a new appreciation for the films as they have for me.